Whew, that took waaaay too much work and waaaaaaaay too long! But, finally, Missile Prototype #3 is now available for testing! As always, I'd greatly appreciate your feedback on this prototype. And like all of these prototypes, all of the changes in it are not final, meaning major changes may still be made to the various added parts/features, including the possibility that some of them may be removed in the final version. New Missile Types: Three new types of missiles have been added in addition to the existing "High Explosive" missiles (though these have also been tweaked slightly; see below). E.M.P. 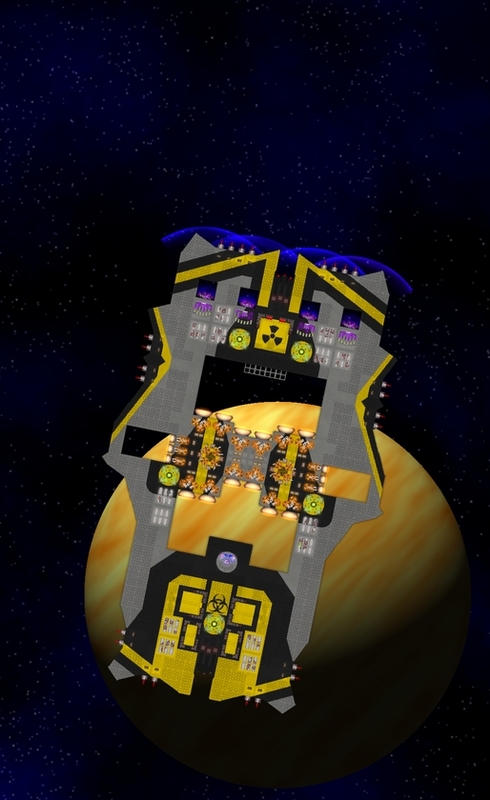 Missiles which do little damage but produce a large energy-draining blast upon impact. Mini-Nukes which are short-range, slow, and forward-firing but do devastating damage if they can hit. Shrapnel Mines which once deployed will home to nearby enemies and explode into multiple pieces of shrapnel. The shrapnel can penetrate deep into enemy ships, starting fires. High Explosive Missiles changed vs Shields: Shields now block 75% of AOE damage, just like armor does. 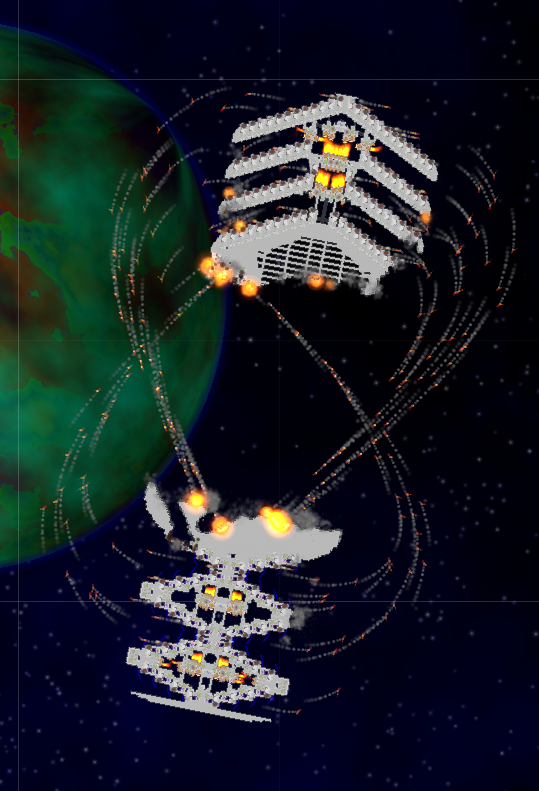 However, AOE damage can now hurt shields, resulting missiles doing much more damage vs shields than they used to. Revamped Point Defenses: Basically I've done what I proposed in my "Radical Proposal" thread, which is to greatly increase their range but also give them a long "lock-on" time before they can actually shoot a missile. The end result is that they are now fairly ineffective at short range and are more of an anti-long-range defense against kiters. Minigun: This is a new hybrid, ammo-based weapon/defense with a short range and narrow arc. In offensive mode it fires shredder rounds that are especially good against armor and other parts with high per-tile health. In defensive mode it fires flak rounds that can destroy enemy missiles, weaken enemy lasers, and deflect enemy projectiles. Walt I don't think missiles damaging shields will be any better (probably worse) then the aoe going through them, and if they do enough damage vs shields themselves why would you ever need emp missiles? Also it raises the question of why other weapons can't do it. I'd like it much better it shields just acted either the exact same as they do now (to keep the already good build choices), or block only about 30% of aoe but take no damage. Also, I really like the idea of having 2 different types of pd and having one be able to be used as a weapon, can't wait to see what awesome multi-purpose ships I can build with those! Walt I think there are some bugs in this version. The AOE of missiles still bypass shields at 100%, and the shields don't take any damage form the missiles upon impact at all. I gonna reinstall the game to see if this only happens on my end. Walt Ok, so missiles look awesome now but are way too fast and do a bit too much damage (3.1). Even if missiles are changed back to their normal speed i would love a longer trail btw. also as flak is now its pretty much useless. Walt I don't feel like the current E.M.P. missiles have a very good use case at the moment. Since they are both expensive and hard to hit a target with (slow and slow at turning) it seems generic HE missiles will almost always be better. The exception perhaps being against a slow, energy weapons only, ship. Note: I do not see how they would be useful vs thrusters. The E.M.P. blast is too small to have an effect past armor around thrusters and if the thrusters are exposed it would be much better to hit them with HE missiles (which are more likely to hit anyway). I suggest making E.M.P. missiles an anti-missile defenses weapon. They could be used to temporarily disable missile defenses (by draining power) and since they don't do any actual damage themselves they won't be overpowered if they can get past missile defenses. To do this E.M.P. missiles would need to be faster and more agile than normal HE missiles. The power drained could be less but the drain area larger. Oneye Also it raises the question of why other weapons can't do it. minigun that can work like flak? nonsense! why not just use the same flak as offensive weapon? Krolon minigun that can work like flak? nonsense! How would you feel if flak was separate from the minigun? Verania it seems the minigun has ZERO effects on shields, do not penetarat them nor drain them, so it cannot be used on its own ever - at least a slight shield drain would feel nice. This was an oversight on my part and is not intentional. Will fix. Verania What if mines also needed a seperate "mine layer device" ? The current plan is for mines to be fired from the missile launcher so that you can use the missile launcher for different purposes during different phases of the battle. I will be updating the missile launcher art to make it look less weird, possibly updating the name too, to something like "Missile & Mine Launcher". clubspike2 Damn I wish more devs where this transparent and involved with their community. Archduke The results speak for themselves. No, they don't. I don't understand what you're trying to show with those videos. I'm not seeing this problem. If it still happens after Missile Prototype 3.1 (which I will post shortly), please send me a saved game. Yeah looks like I broke this, will fix. This is an "intentional experiment". I think it's kind of cool that mines can bypass shields and potentially creates interesting strategies with mines, though I concede that could also cause major balance problems. Another idea could be to make mines bounce off shields without exploding. This was not intentional. I made a last-minute EMP nerf by shrinking the radius without realizing that it would no longer be large enough to drain a shield when hitting it. Increase the EMP radius if we think it's too underpowered in general. Give it direct shield damage if we think the radius is fine but want to make EMP good against shields (which it obviously should be). I'm going to try #2 to see how we like it. Tobi-wan_Kenobi I think the new point defenses are useless. Might call them pointless defenses. All of my old ships with substantial PD now let quite a lot of missiles through. Which is what you were going for I guess, but if that's the way it's going to be I'm just going to save cost and space and not use PDs. They're supposed to be more-or-less useless at regular combat range but still useful at kiting range. If a ship that isn't worried about being kited doesn't use PD, then I'm okay with that. If PD still aren't useful against kiters though, that's a problem. Decrease lock-on time. This would also make PD better at shorter ranges, which may or may not be a bad thing. Increase PD damage so that they can destroy missiles quicker but wouldn't make them any better against missiles that are fired from short enough range. I tried this myself and felt it was kind of weird which is why I didn't do it, but it's still an option. Allow PD to quickly retarget other missiles that have already been flying for a while. Reduce PD cost and/or power consumption. Not sure what the best approach is here, I'm open to suggestions. Tobi-wan_Kenobi If missiles are weaker versus shields now, then I'd rather have another shield in place of 2 PDs. They're not supposed to be, but it's bugged right now. Tobi-wan_Kenobi The idea is that the EMP missiles disable energy weapons and use up enemy manpower in replacing batteries. But the missiles take way more crew and credits cost than the things they're supposed to be disabling. In other words, they're not cost-effective. They don't seem to interrupt laser fire much, they don't take down shields, they don't really do anything. Is this true even against an unshielded ship? I think I'm going to try increasing the power drain from 100% (which decreases with distance) to 150% and see how we like that. It virtually guarantees that parts within a couple tiles of the impact are fully drained. Tobi-wan_Kenobi It's really weird that they do very little damage to shields but catastrophic damage to parts. Nukes have the same shield damage bug as the regular missiles. Will be fixed. Let me know how you feel about nukes after the fix. Tobi-wan_Kenobi I don't like that they start fires rather than explode. I feel like in they could be powerful in some situations, but I don't think they would be fun to play with or against. Can you elaborate on this? I don't understand why you don't like that they start fires or don't think they'd be fun to play with/against. Tobi-wan_Kenobi The miniguns; I've always wanted them in Cosmoteer, so I'm glad you're considering them, but... not like this. Narrow field of fire and short range combined feels icky for a continuously-firing weapon. I think a similar field of fire to cannons and similar range to EBs would be more fitting. I'm open to changing the arc/range of miniguns in shredder mode (or as a separate weapon from flak). It's much more important for flak to have the narrow arc than shredder rounds, I really just set them the same to be consistent, but I'm open to making them different. I think I will try increasing the range of shredder rounds to match electro bolts, but I'm going to leave the arc unchanged for now, because if I changed the arc then it'd be harder to justify why shredder rounds and flak rounds have different arc. Tobi-wan_Kenobi Also, I think if they're an ammo weapon, the projectiles should behave more like cannon rounds, in other words travel slower than lasers. Tobi-wan_Kenobi As for balance, they feel really weak. They seem to have much less destructive potential than all of the other weapons. Shields stop them cold and parts can take quite a bit of fire from them. The zero shield damage is a bug, but you might still be right, they might be too weak against regular parts. Against low-health parts like corridors, they have lower DPS than a standard cannon (same DPS as the cannon's initial impact, but the cannon can penetrate), and against armor they have 4x that, which is still not especially great for their cost and ammo usage. I'm going to try doubling their damage across the board, though I suspect that will be too high. Tobi-wan_Kenobi Also, if they're going to be able to shoot down missiles, I would prefer it not be with flak. Can you elaborate on why this is? Tobi-wan_Kenobi The flak seems ineffective. Mass standard cannon fire still gets through with 95% of shots. Lasers travel too quick and fire too often to be weakened much. Certainly not enough to warrant using all that surface area, money, and crew. Shields are ten times more effective at mitigating damage than this flak. It's decent against missiles, but not as good as shields. I agree, it does seem pretty weak. 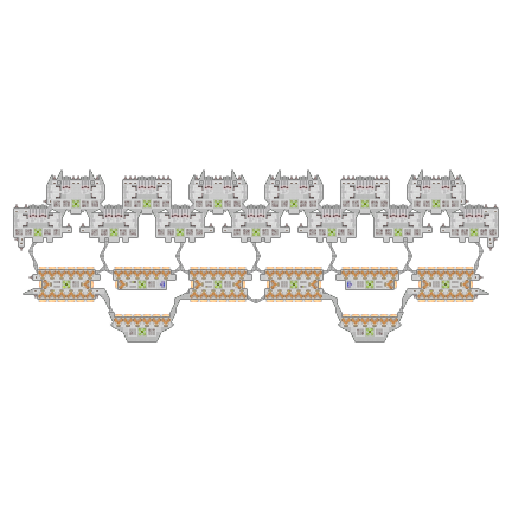 I'm going to try doubling all the effects of flak as well, see how we like it. Ideally flak would be the best counter against missiles but a worse counter than shields against everything else, but still not useless against everything else so that it's not a total waste of money if the enemy doesn't have missiles. and maybe tell me about the rof a bit? Were you talking about the blueprints when you said that? Nuclear Missile and Mines Testing Vessel. Meets the Power and Crew Recommendations exactly. you can either shoot or lay mines with autofire. fast firing armor "melter" was rly needed! it seems the minigun has ZERO effects on shields, do not penetarat them nor drain them, so it cannot be used on its own ever - at least a slight shield drain would feel nice. What if mines also needed a seperate "mine layer device" ? @Walt is that planned perhaps? Damn I wish more devs where this transparent and involved with their community. It is also multi-purpose, so the larger size is more justified, since it also does damage to ships. Give everything the ability to damage missiles, however, not completely destroy them on the first shot. Maybe every weapon can switch from offensive to defensive mode, except the minigun does this especially well for some strange lore reason (and PD is just your average missile defense unit that can't do offensive damage because it's too small to do so). 2M missile kiter vs 650K pure anti-missile kiter without pursue. The results speak for themselves. 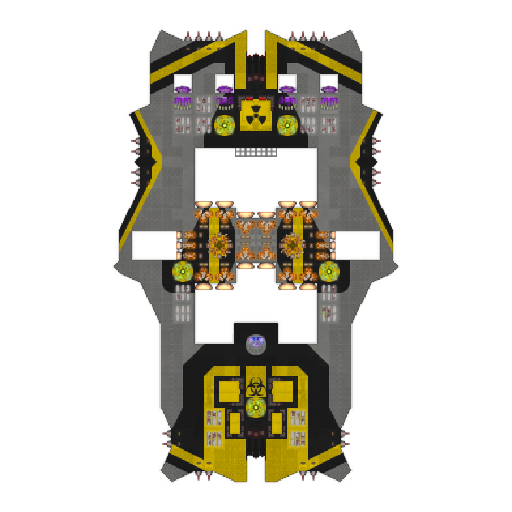 Here are the ships in case they might be useful to someone. 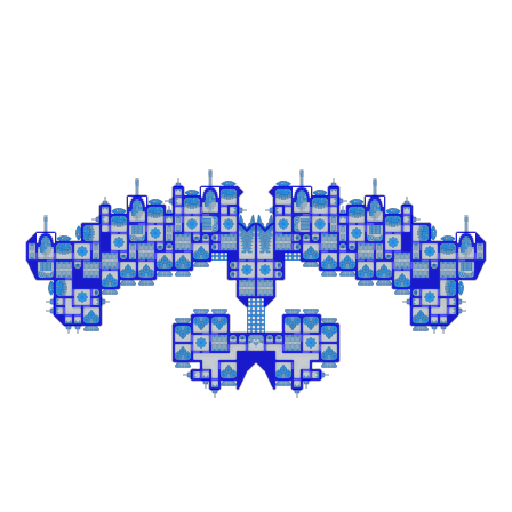 I didn't save the flak version, so hopefully the ship from "lost ships" is correct. It's probably bugged for everyone, at the very least for me as well. Whew. Everything's so unfinished that I can't make much sense of it, but I'll try. I think the new point defenses are useless. Might call them pointless defenses. All of my old ships with substantial PD now let quite a lot of missiles through. Which is what you were going for I guess, but if that's the way it's going to be I'm just going to save cost and space and not use PDs. If missiles are weaker versus shields now, then I'd rather have another shield in place of 2 PDs. The EMP missiles are way weaker than I thought they were going to be. 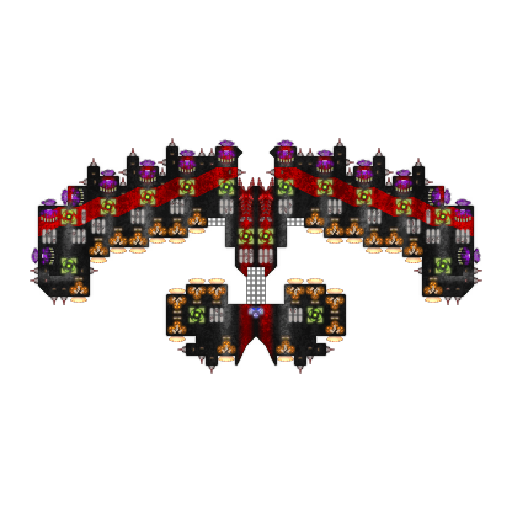 I figured a couple missiles would down a shield easily. I find it odd that you chose to make shields strong against them (maybe they're just not finished?). I thought they were going to be OP and every ship would want some on the chance that one missile would slip through and greatly damage the enemy's shields. In their current balance, I think they're pretty weak. The idea is that the EMP missiles disable energy weapons and use up enemy manpower in replacing batteries. But the missiles take way more crew and credits cost than the things they're supposed to be disabling. In other words, they're not cost-effective. They don't seem to interrupt laser fire much, they don't take down shields, they don't really do anything. Nukes are interesting, I guess. It's fun making something go boom, but I don't think they'll be very effective in actual combat. Too slow and situational. It's really weird that they do very little damage to shields but catastrophic damage to parts. Basically the main use I can see for nukes is for a suicide ramming ship. Hug the enemy, launch all tubes, both of you go boom. Which is dumb and not cool. Totally not what one imagines when they think of nuclear missiles in space combat. They might be decent for a broadsider that faces the enemy with EBs first, then turns to shoot a ton of nukes, but they have way too low accuracy and rate of fire to be reliable. Miss your broadside or fail to take down all shields, and you have a long wait for another salvo. Unless you use storages I guess. I don't know about the mines. Kinda neat that they ignore shields. I don't like that they start fires rather than explode. I feel like in they could be powerful in some situations, but I don't think they would be fun to play with or against. The miniguns; I've always wanted them in Cosmoteer, so I'm glad you're considering them, but... not like this. Narrow field of fire and short range combined feels icky for a continuously-firing weapon. I think a similar field of fire to cannons and similar range to EBs would be more fitting. Also, I think if they're an ammo weapon, the projectiles should behave more like cannon rounds, in other words travel slower than lasers. It seems a bit weird for them to be faster than lasers. As for balance, they feel really weak. They seem to have much less destructive potential than all of the other weapons. Shields stop them cold and parts can take quite a bit of fire from them. If they're going to be an anti-material weapon that can't take down shields, they need to really chew up parts quick. If they can do that, I think they will be a potent weapon against small and fast ships that have few shields. But I would prefer a minigun that works equally well against shields and parts, just like cannons. Also, if they're going to be able to shoot down missiles, I would prefer it not be with flak. The flak seems ineffective. Mass standard cannon fire still gets through with 95% of shots. Lasers travel too quick and fire too often to be weakened much. Certainly not enough to warrant using all that surface area, money, and crew. Shields are ten times more effective at mitigating damage than this flak. It's decent against missiles, but not as good as shields. All in all, interesting to test, but I don't like the direction any of this is going. I believe in you though. To my knowledge, you've never added a part that wasn't really cool and filled a unique role.